I had a wonderful time going to estate sales today. Since I moved I’d been relying on yard sales and was pretty dismayed that it was too cold to find many more. I went to an auction here for the first time a few weeks ago and knew it was time to start looking for tag sales. Back home most people do auctions rather than tagged estate sales, so this is a bit of a new thing for me. I’ve heard tales of long lines and large crowds at such sales but I was pleasantly surprised the sales I found today were pretty calm and there weren’t many other people there. 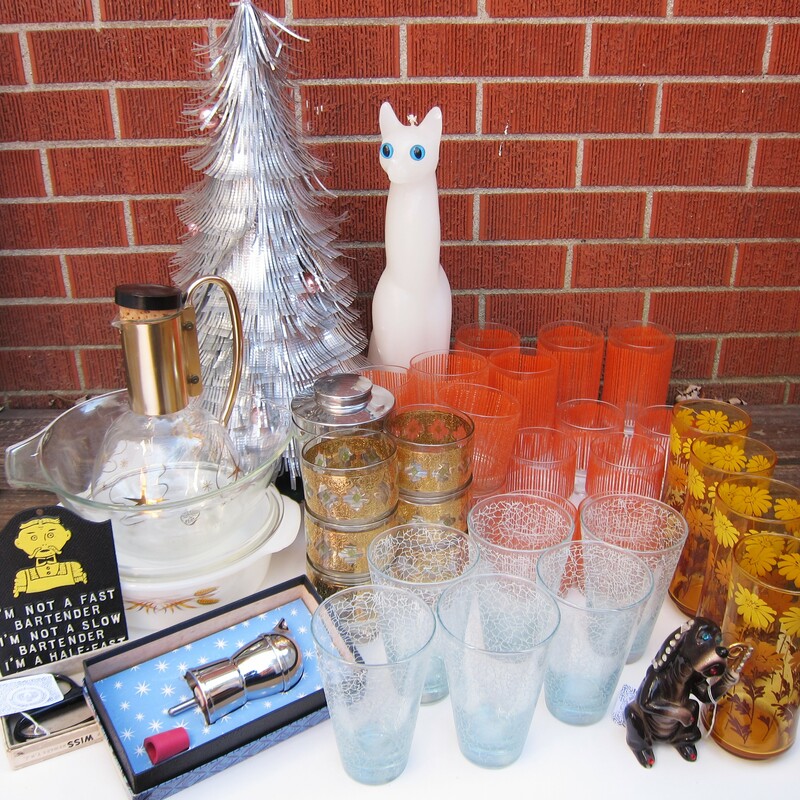 I happened upon two that had a great stash of vintage items, particularly mid century kitchen and bar items. I bought four sets of glasses that I adore! Here’s a picture of the whole day’s haul. I was particularly excited about the silver tree and the large and totally bizarre 18″ cat candle. It’s almost large enough to startle an actual cat.